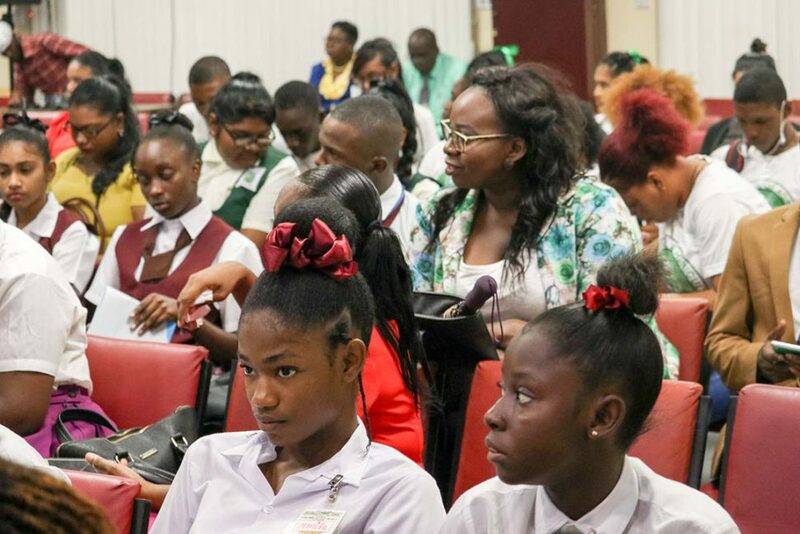 They include both emerging businesses and established companies in the food production sector, as well as young Guyanese seeking to secure viable academic credentials that would better position them to secure gainful employment in a fast expanding industry. Consistent with what, it is now clear, is the focus of the UG administration on honing a curriculum that would fashion the institution into a reservoir for delivering skills linked to both economic and intellectual growth, the new degree programme has been ‘a long time coming,’ Samantha Joseph of the university’s Department of Chemistry, Faculty of Natural Sciences, told Stabroek Business during an interview on Tuesday. That has changed. 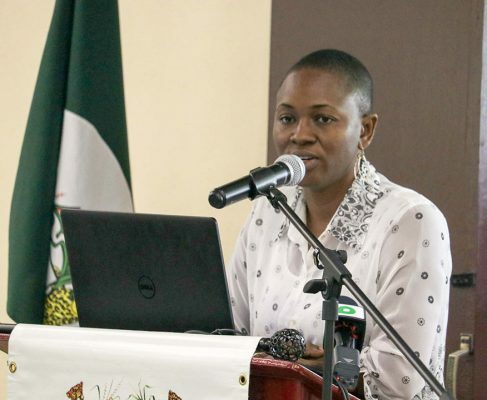 Joseph, along with Dr. Delroy Charles, of the University’s Faculty of Agriculture and Forestry, are among the key persons identified to roll out the programme. Joseph says that they can now rely on the robust backing of colleagues trained in Food and Agriculture Processing Technology, Food Chemistry and Quality Assurance and Food Safety. But that is not all. Joseph says that the degree programme will be further strengthened through human resource partnerships that will embrace industry and the private sector. The new Food Science Degree is structured to integrate agriculture, chemistry, biology and business into a single professional discipline. The Food Science degree is a breakthrough programme that will, simultaneously, turn out professionals with professional acumen that can significantly raise standards in the food manufacturing industry, a factor that accounted for the involvement of some of the mainstream enterprises in the food products manufacturing sector in the conceptualizing of the programme in the first place. While the first two years of the undergraduate programme are intended to establish a solid background in math, chemistry and physical and biological sciences, the final two years will focus on the application of these basic sciences and technology to the manufacturing, sensory evaluation, storage, distribution, and safety of foods and food ingredients. The latter, Joseph says, will be enhanced through field visits to food manufacturing and packaging entities, while students will also secure the opportunity to pursue a Research Project during the final year of studies on a food related topic, or benefit from an internship at a food manufacturing company. In terms of its practical application to the food manufacturing sector, students will be trained to develop both a theoretical and practical knowledge of food science and, crucially, to demonstrate an understanding of basic food safety issues. Those skills can not only play an invaluable role in upgrading standards of food hygiene locally but can also be applied in seeking to ensure compliance with international food safety standards. Further, the programme seeks to equip participants with the skills to develop and evaluate the quality of new food products as well as to cultivate an understanding of the basic concepts in food chemistry and food analysis. Critically, they will be equipped to apply the knowledge acquired during their period of studies to the critical evaluation of the challenges in the food industry. The advent of the new Food Science degree, comes at a juncture when the local economy is poised to undergo significant transformation and when the national focus on maximizing export market opportunities for food products demand an elevation in skill levels. Hard-pressed to conceal what she says is her excitement about the potential of the programme, Joseph is keen to have the programme explore the connection between the qualification and the relevance of the skills which it provides to ‘upgrade the country’s food production capabilities. Equally, she believes that insofar as the outcomes of the programme include the provision of critical skills for the related sectors, then, to that extent, the University of Guyana would have been fulfilling its mission. At the recent launch ceremony for the new degree programme at Turkeyen last week, Joseph alluded to the many disciplines in which the qualification can offer both entrepreneurial and employment opportunities. “This degree is so multi-faceted you can have employment within the food industry, you can have employment in academia, you can have employment in research institutions, you can have employment at institutions where you have the processing of raw materials,” the University of the West Indies graduate was quoted as saying. On Tuesday, during her interview with the Stabroek Business, she addressed the theme of the broad-based stakeholder involvement in the fashioning of the programme, alluding to the consultation exercise last July with representatives of Industry, the banking sector, the Guyana Marketing Corporation (GMC), the Government Analyst Food & Drugs Department (GAFDD), IICA and investors in the agro processing sector. All of these, she says, are regarded as critical stakeholders in what is being treated as a pioneering project. Joseph sees the new degree programme as a building block, perhaps more accurately, a platform, that seeks to help bridge the gap between “the technical people” and those who are more directly involved in the entrepreneurial process. It is, she says, a question of one complementing the other. So enthusiastic has been the response to the programme, that whilst classes have already commenced, students are still registering for the programme. Eager as the university is to have the programme ‘up and running’, Joseph says that she has been encouraging students to join the classes even as they are pursuing their registration routine. Whilst conceding that the essentially academic orientation of the BSc programme perhaps excludes many rank and file agro processors who, in recent years, have moved closer to the centre of the food production sector, Joseph says that the university is keen to build bridges with the agro processing community, with a view to supporting them in their product refinement pursuits. More than that, she believes that the new degree programme opens a door to the subsequent expansion of the university’s Food Science curriculum, to more tightly embrace the requirements of the small to medium sized actors in the agro processing sector.